Apples are in season now, nicely priced and a great variety available to choose from here in Vancouver. I like the Ambrosia variety from British Columbia, it has just the right crisp and sweetness. I admit I do get carried away sometimes and add shredded apples into my salad and oatmeal too. 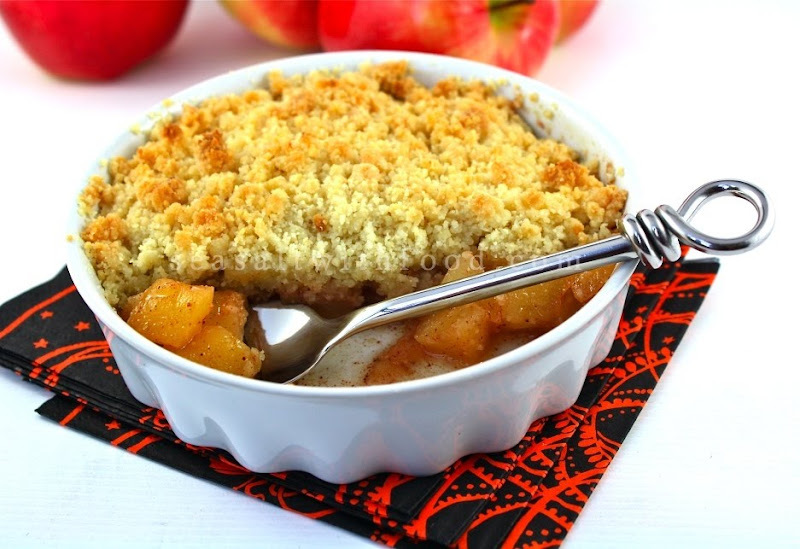 :-) In any case, I am posting a simple Apple Crumble recipe today. This is one of my all time favorites. So, do try this recipe. In a mixing bowl, combine apples, cinnamon, sugar, and lemon juice and mix well. Transfer the apple mixtures into a 5 cups shallow baking dish or into a few smaller baking dish. In a clean mixing bowl, combine the flour, almond, sugar, and sea salt and mix well. Add the chilled butter and rub into the flour mixtures until resembles coarse breadcrumbs or process the mixture in a food processor. Sprinkle the flour mixtures on top of the apples. Bake in the oven for about 25 to 30 minutes or until golden brown in color. I'm in Vancouver too and BC Ambrosia is by far the best apple of them all! So simple yet so good and satisfying. 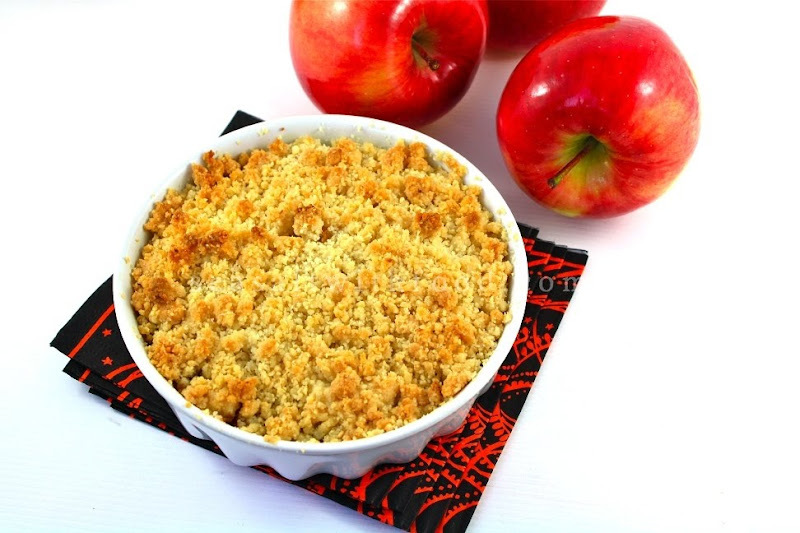 There are times nothing is better than a simple apple crumble...yum! 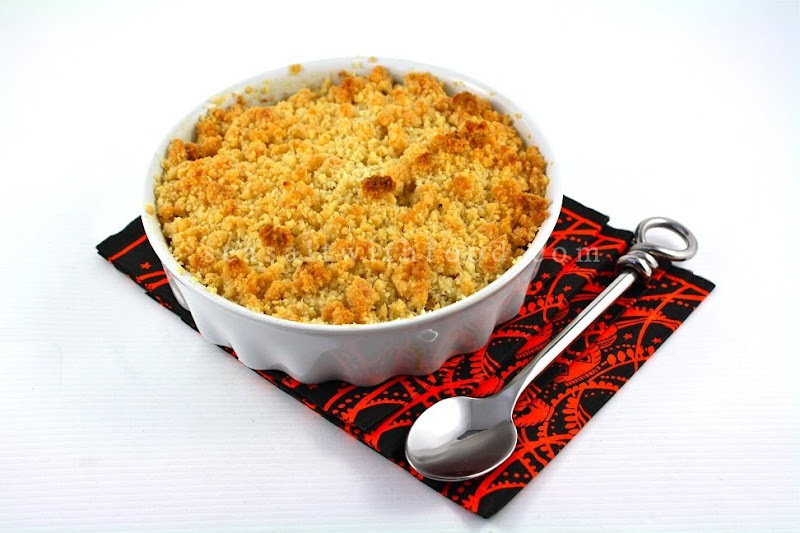 Ooo, I just had an apple crumble at a restaurant and was thinking abt making my own ... thks for a great looking recipe! Beautiful pics too! Best Apples to use are english Bramleys.. I love this so much, also works very well with pears.